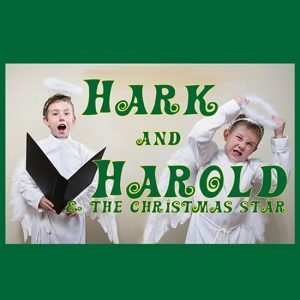 The play Hark and Harold will be presented on Monday, December 17th at 6:00 pm. The angel Gabriel has enough on his mind with lining up the Savior’s birth. He’s appeared before Mary, arranged for the Heavenly Hosts, and even ensured it will be a clear night for Jesus’s birth. All he needs to do now is figure out a plan to notify the whole Earth about the birth of the Christ child. Suddenly, Adele, Lyric and Rachel burst into Gabriel’s office complaining about the two hooligans. Hark and Harold are at it again, screaming like banshees rather than singing, creating an unexpected meteor shower, and running off to create more shenanigans. When they are found, dirty and disheveled, Harold has a great idea: Why can’t the boys drive a fiery chariot through the heavens to announce the birth? It would look just like a star if they stayed high enough that people could only see the light. Gabriel agrees, and it just goes to show that everyone has a role in glorifying the Lord, even the most unexpected little ruffians.